You can certainly tell when the seasons change in Denver. The ski racks are replaced with bike racks, you no longer hear the sound of studded snow tires and the runners are back in shorts. Although many are grudgingly accepting the close of another fantastic ski season, the longer and warmer days remind us that Colorado is much more than just a winter sports state. Bike trails, open spaces and metro parks are great places to enjoy the wonders provided by living near the mountains and in Denver. Join us as we explore wonderful mountain retreats and fun, great city parks and bike paths. Denver is one place that living in the city also means enjoying the outdoors! In a city that produces more beer than any other state, it's no surprise that metro residents like to have fun. Like other major metropolises, Denver has its fair share of exotic eateries, local museums, shopping centers and dance clubs, but what makes Denver stand out from all the other major cities in the United States is that the mile-high city is set at the base of the beautiful Rocky Mountain range, a location that offers a variety of activities most cities do not. In addition to hiking, camping, skiing and snowboarding, Denver has 450 miles of bike paths, 70 golf courses and 145 community tennis courts. Coloradans are known to love the outdoors and it is no surprise that the metro is full great parks, trails and outdoor events. If you lived here for any time you are probably familiar with Washington (Wash) Park. 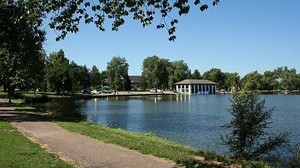 Nestled in the center of the city this wonderful oasis offers running and biking trails, a pool and a beautiful lake. In fact, the metro has more than 4,000 acres of parks and green space that are waiting to be explored by you. In the summer, the ski resorts don't shut down, they switch gears. What was home to great powder a few months ago is now a site for hiking, mountain biking and picnicking. Just take a chair lift or gondola up to the top with your bike and enjoy the stunning vistas and challenging terrain of the mountain. Ski resorts come alive in the summer with festivals and summer concerts. Nearby Denver is the Red Rocks Amphitheater, a natural arena set in the rock that seats up to 9,000 people. Not only do you have a great view of the stage, which has hosted world-class performers like the Beatles, but you also overlook downtown Denver and the surrounding area. This is a beautiful place to enjoy music and the mountains with friends and loved ones. Denver also has two National Parks close by. 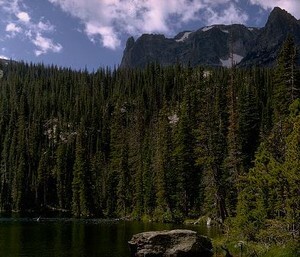 Rocky Mountain National Park, 71 miles northwest of downtown Denver and has a large assortment of scenic hikes to lakes, rivers and waterfalls. There are also opportunities to go bird-watching and horse-back riding. Located 70 miles south of Denver is Pikes Peak Country, home to the 14,000-foot high Pikes Peak. An assortment of activities awaits you. There's camping, backpacking, fishing, biking, hiking and whitewater rafting. Visit the stunning 500-foot sandstone monuments in the Garden of the Gods at the base of the peak or take a guided tour all the way to the top. For people that love life, the metro is alive 52 weeks a year. Each season brings fun, excitement and enjoyment of a great city and the fantastic natural surroundings. 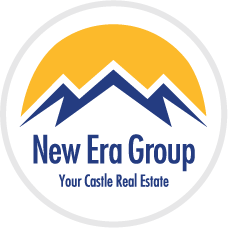 Residents revel in the ability to enjoy big city life and at a moments notice hustle off to the mountains to enjoy the peace and serenity of nature. It is what makes Colorado special, and Denver our home.